MainAll NewsForeign AffairsWill US waive visa requirement for Israelis? US expected to add Israel to list of countries whose citizens are given automatic tourist visas upon arrival. 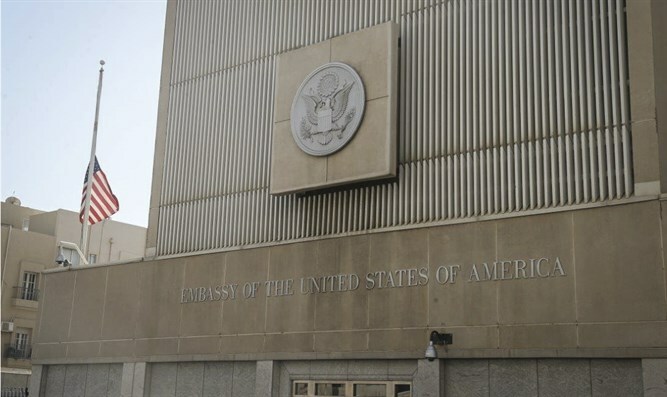 Will Israelis travelling to the US be exempted from securing a travel visa from the US embassy in Tel Aviv beforehand? For years, Israel has lobbied the US to add it to the Designated Countries list for the Visa Waiver Program (VWP). While most non-citizen visitors to the US most first obtain a tourist visa before travelling to the US – a process which involves background checks, an interview at the local US embassy or consulate, and filing fees – the citizens of 38 countries designated by the VWP are automatically granted 90-day class B tourist visa upon arrival at any international airport in the United States. The visa requirement is used both to screen out potential criminal elements as well as prevent non-citizens deemed a high-risk of violating the terms of tourist visas from entering the country. In particular, the visa requirement helps US officials reduce the number of illegal immigrants or migrant workers from entering the US to illegally find employment, denying visa applications from individuals with few ties to their country of origin. Despite years of efforts, and signals by past administrations that Israel could be added to the VWP, no changes were made to Israel’s status in regards to American visa requirements. That may soon change, however, following talks between Israel’s Attorney General, Israel’s Deputy Attorney General, and US law enforcement officials. According to a report in Yediot Ahronot, AG Avichai Mandelblit and Deputy AG for International Affairs Roei Sheindorf made a breakthrough with American officials recently, which could pave the way for Israel’s inclusion in the Preventing and Combating Serious Crime agreements. Israel and the US are expected to sign a bilateral PCSC agreement in the coming weeks, enabling US officials to obtain background information on Israeli citizens visiting the US. Israeli officials had in the past expressed concerns about possible privacy issues under an information sharing agreement. According to the report, however, the Israeli delegation and US officials have managed a breakthrough on the core issues. US law enforcement officials will be able to obtain information on specific individuals, but have apparently waived the demand to have unfettered access to Israeli records. If a bilateral Israel-US PCSC agreement is indeed signed as expected, it would remove the primary obstacle to Israel’s inclusion in the VWP.